We believe in being active and engaged in our community. We do this by partnering, sponsoring and hosting various events throughout the year. We would love to see you at any of our upcoming events. If you are interested in volunteering or sponsoring any of our events, please contact us. 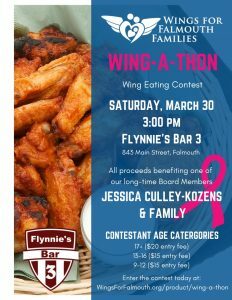 It's time for our Annual Wing eating contest at Flynnie's Bar 3, Saturday, March 30th at 3:00 pm! There will be three different age groups, 17+ ($20 entry fee), 13-16 ($15 entry fee) and 9-12 ($15 entry fee). 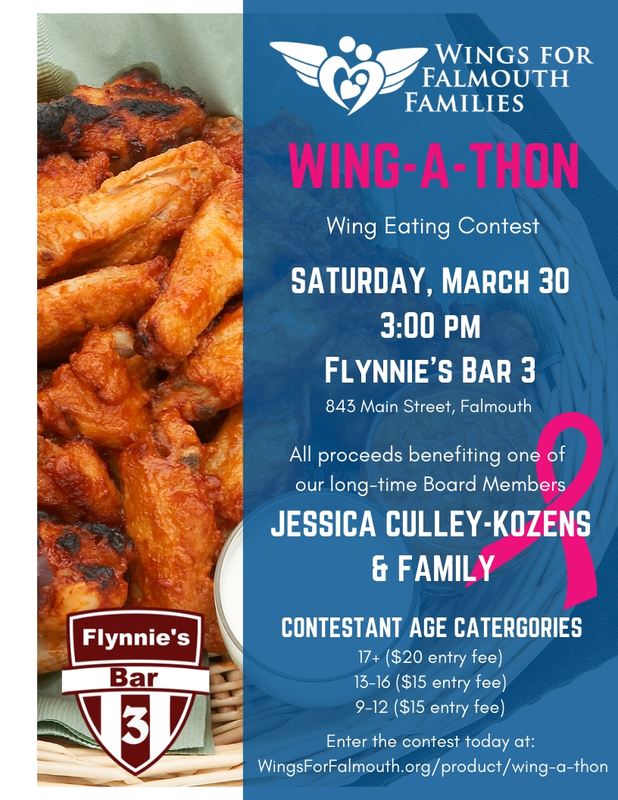 All proceeds will be going to help our long-time Board Member, Jessica Culley-Kozens and her family. So please come out to support this amazing family and all that they've done to help Wings and our families throughout the years. Click here to enter into the contest.